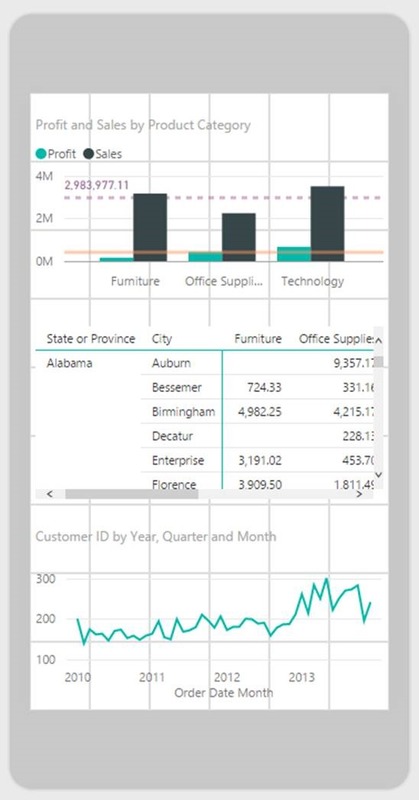 The September Power BI Desktop update is out now and packed with many new features and improvements! We are excited to announce our Esri map integration, DirectQuery support for the Snowflake Connector, new forecasting features, and the ability to create a mobile report layout. A few of these features are still in preview so be sure to try them out and let us know what you think. In addition, this release allows you to edit R visuals in your favorite R IDE. 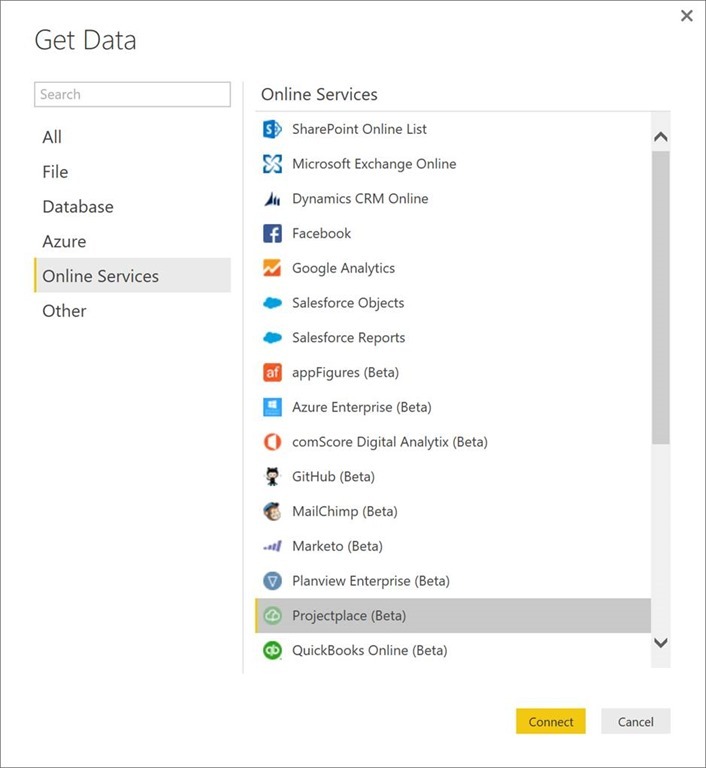 Along with the Pyramid Analytics integration in Power BI Desktop, this is another example of ways users can leverage other BI tools alongside Power BI Desktop to enhance the experience. 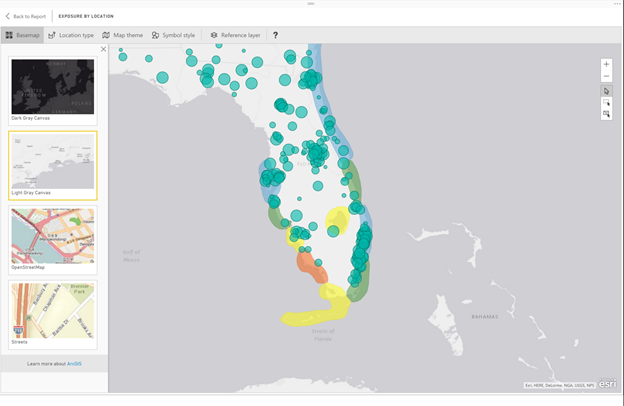 We are excited to announce that with this release, you can now use the ArcGIS Maps for Power BI visual created by Esri in your Power BI reports. 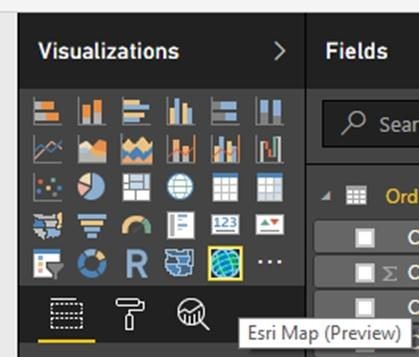 Esri’s ArcGIS maps enables powerful world class mapping controls right in Power BI. 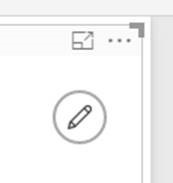 This feature is not yet available in the Power BI Service so when you publish a report with this visual, it will be blank when you view it on the web. Stay tuned, it’ll be available on the web within the next week! To start using this preview feature, turn on ArcGIS Maps for Power BI in the Preview Features tab of the Options dialog. Once the feature has been turned on and you’ve restarted the Desktop, you will see a new Esri map icon in the visualizations pane. 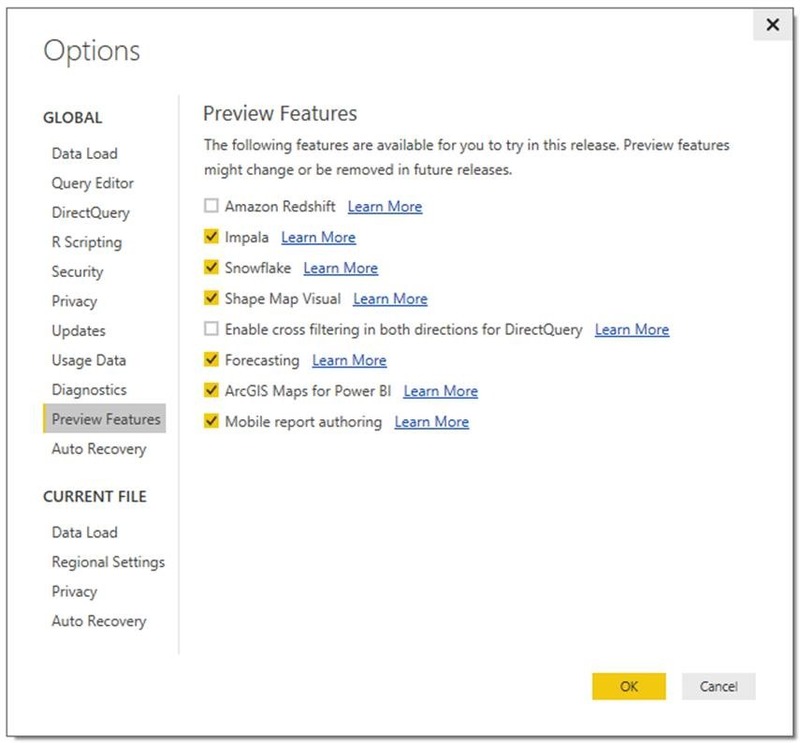 The ArcGIS Maps for Power BI visual is provided by Esri, so before you get started, you’ll need to consent to Esri’s terms of service and privacy statements, and acknowledge you’re using the services operated by Esri in Power BI. 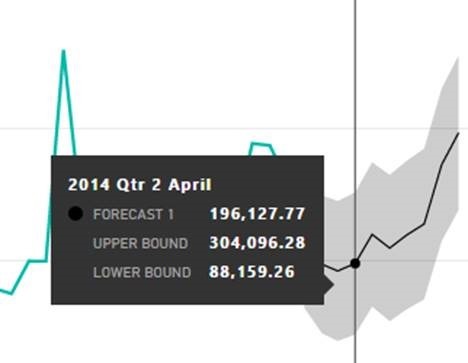 From here you can add your data to the visual just like any other Power BI visual. You can control the look and feel of your map by clicking the pencil icon in the top right corner. This will open up a full screen editing experience with toolbars filled with all the editing capabilities you’d expect from Esri maps. For more information about those capabilities, check out the Esri website. Many of you love the ability to view your reports on your mobile devices but want a way to create layouts specific for mobile devices. With this update, we are excited to announce our preview of mobile report authoring. Once you enable this feature in the preview dialog, you will be able switch to the mobile view in the View tab. Once you switch to the phone layout mode, you will see a grid layout on a phone and all the visuals of your report. From here you can drag and drop visuals from the right pane onto the phone and align them in the grid. 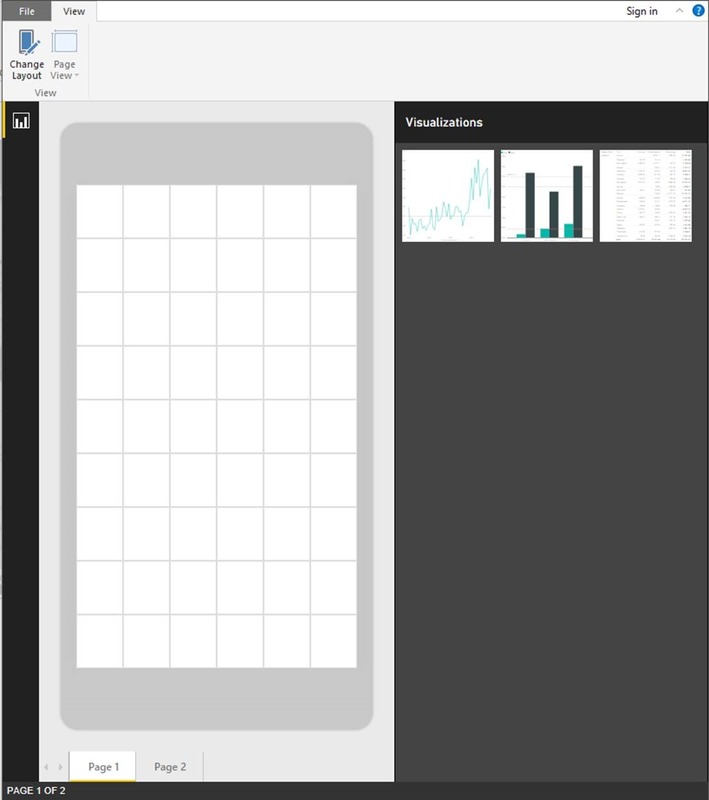 Once you save this and publish it to the web, anyone who views the report on their Power BI mobile app will see this layout of the report. In case you missed the mid-August update, we updated our drill experience to provide you the ability to use both our inline hierarchy and older drill experience in the same visual. When you have a visual with a hierarchy in it, the double down arrow icon ( ) will do the previous experience of showing the next level of the hierarchy, and the split arrow icon ( ) will perform the inline hierarchy experience. To learn more about each type of drill, you can read our dedicated blog on the updated drill experience. This month we are exciting to announce our first addition to the new analytics pane we released last month. You can now use our new forecasting feature on your line chart to do predictive analytics on your data. The forecasting feature utilizes built-in predictive forecasting models to automatically detect the step (monthly/weekly/annually) and seasonality in your data to provide forecasting results. This feature is in preview, so you can turn it on in the Preview Features tab in Options. Once you turn it on and restart the Desktop, you will see the Forecast option in the Analytics pane when you have a single series line chart selected. When you add a forecast line, you will have two sets of options available to configure. You can control the styling of the forecasting, similar to the controls you have for trend lines. You can also control settings specific to forecasting. You can use forecasting length to control the length you want to forecast into the future. Ignore last lets you exclude the most recent data points from the forecast. This is especially useful if you know the last month of data is still incomplete. Confidence interval lets you visually show how reliable the forecast is, and finally, the Seasonality setting lets you override the automatically detected season value. For example, if you know your data comes from monthly observation, you can set Seasonality to 12. If the data comes from quarterly observation, you can set Seasonality to 4. You can also hover over the forecast to get the exact values for the forecast, upper bounds, and lower bounds. The R programming language is among the most widely used programming languages by statisticians, data scientists, and business analysts, and the Power BI Desktop supports creating charts based on an R script. 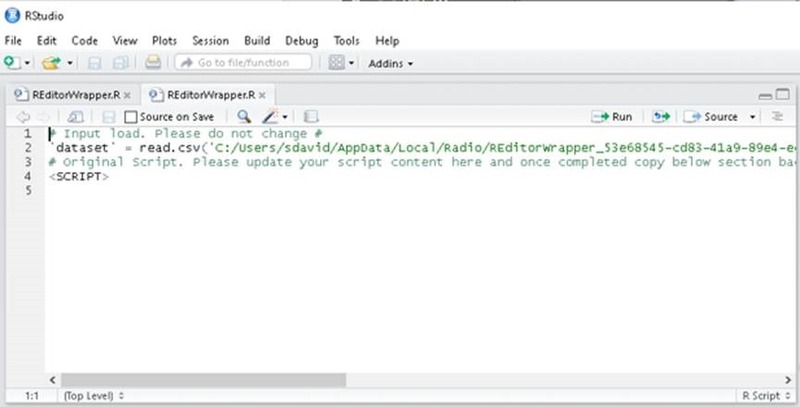 Previously, you would need to use the Desktop’s code editor which isn’t the most powerful editor. Now with this release, you can choose to use your favorite R IDE. 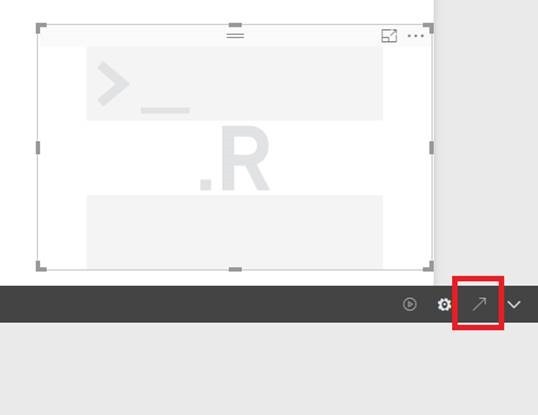 When editing your R visual, you can select the pop out icon to open the default application for .R files on your computer. Your IDE will automatically launch with the data imported into your IDE. 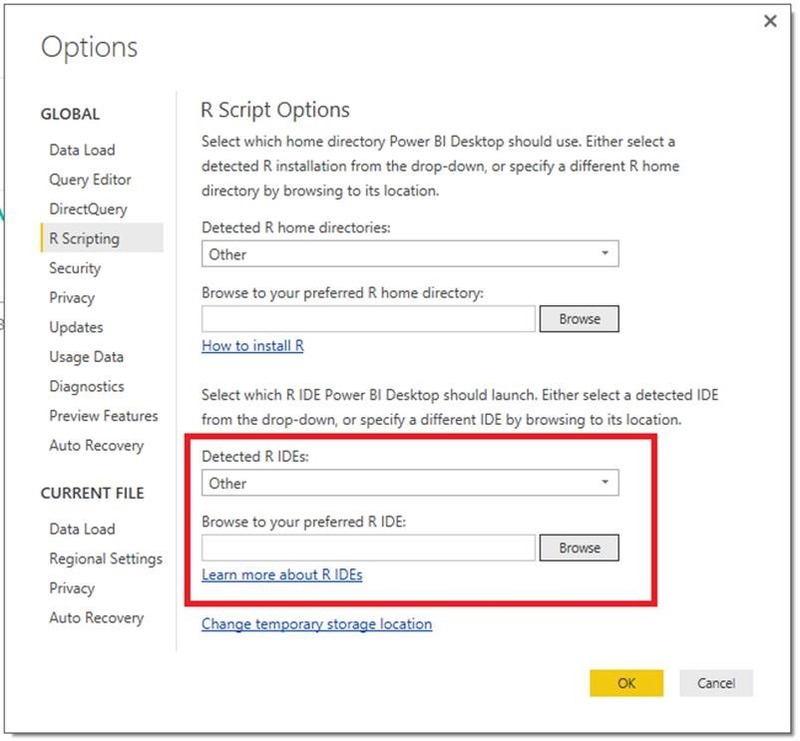 You can select which IDE is launched in the R Scripting tab in the Options dialog. Last month, we released a Preview of the Snowflake connector. This month we’re enhancing this connector to also include DirectQuery Support. 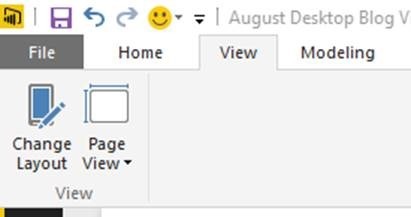 After enabling this Preview feature (File -> Options and Settings -> Options -> Preview Features), you can find the Snowflake connector in the “Get Data” dialog under the Database category. With this month’s update, you can choose between Import & DirectQuery modes in the connector dialog. 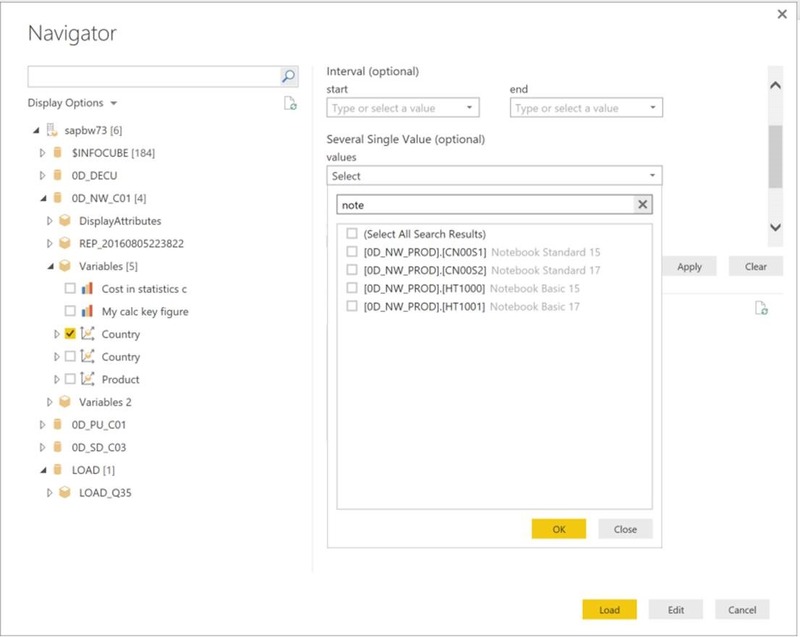 Our new connector in this month’s release allows users to easily import data from their ProjectPlace accounts into Power BI. 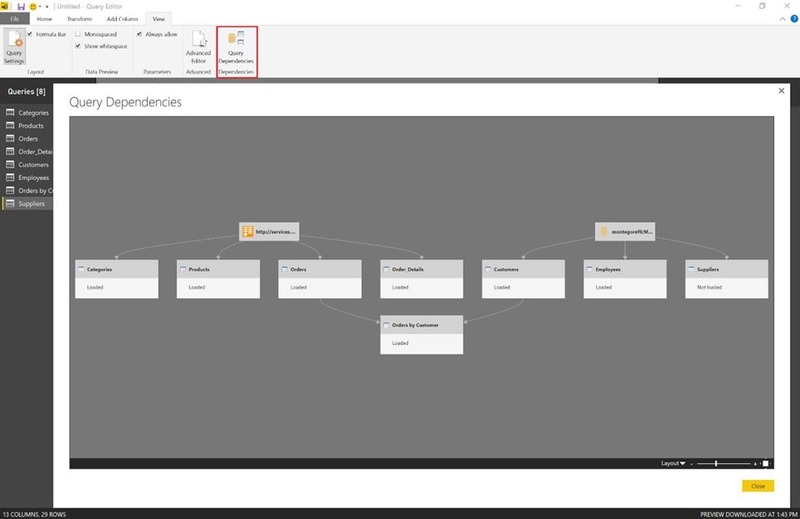 This new ProjectPlace connector allows you to visualize your collaborative project data in Power BI and create custom reports that combine it with data from other sources. After selecting this connector, you can provide your ProjectPlace OData URL, which will allow you to browse your project data. We have significantly improved the performance for previewing tables in the Navigator dialog when connecting to Oracle databases. In most cases, previews should take 30% or less of the time that they used to take in previous releases. We have added relationship detection support for OData V4 feeds in this release. 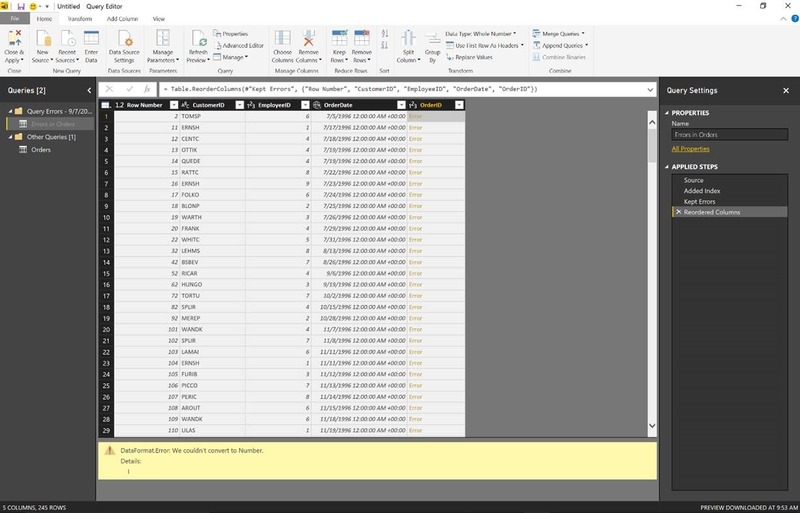 When connecting to OData V4 feeds, you will be able to use the “Select Related Tables” button in the Navigator dialog, to help you more easily selecting all tables needed for your reports. Support for typing values, in addition to selecting values from the dropdown list. Member ID & Member Caption are now exposed within the dropdown list. The ability to use the Search box to search across both ID & Caption fields. 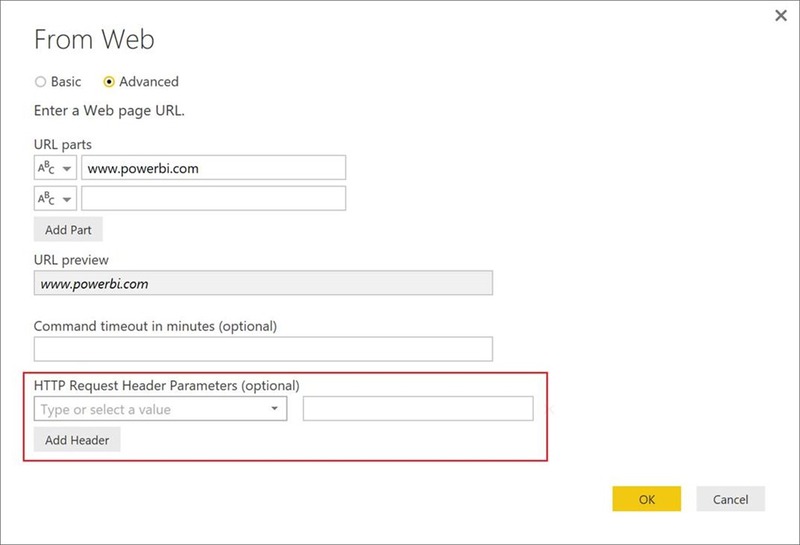 With the Power BI Desktop September update, we have added support for specifying HTTP Request Headers within the Web connector dialog. You can specify header name/value pairs from the Advanced mode in this dialog. One of the most popular requests in the Data Preparation area for the past several months has been having the ability to easily understand dependencies across all queries in a given PBIX file. In this month’s release, we have added a Query Dependencies view in the Query Editor (under the View tab in the ribbon) that allows you to see all queries and your dependencies on other queries or data sources at a glance, as well as an indicator of their Load status. In many cases, users might run into cell-level errors in the output of their queries. A common scenario for this could be changing the type of a column from Text to Date or Number, when not all values within that column are accepted values for the target type. When such situation happens, you would get cell-level errors within the Query Editor preview, but such cell values are loaded as “null” when queries are loaded into the Data Model, to not break the overall column type requirements. Before this update, you had no indication at Load time when cell-level errors happened. Starting with this month’s update, you will get a count of errors for each of the queries being loaded, and have the ability to drill into more details for these errors. When clicking the “View Errors” link, you are able to see the errors in context, along with a row index and the full error message(s), which will allow you to troubleshoot the errors in the original dataset or in your query steps. We have added Query Editor ribbon support for common operations when dealing with scalar-typed queries. This includes new Contextual Ribbon tabs that expose common transformations for Text, Date/Time and Number values. A common scenario when working with custom functions is invoking such function over each row in a table. Before this update, you had to create custom columns and manually type an M expression to invoke a custom function with the right set of arguments. With this update, we’re making it seamless for users to invoke a custom function over a table. 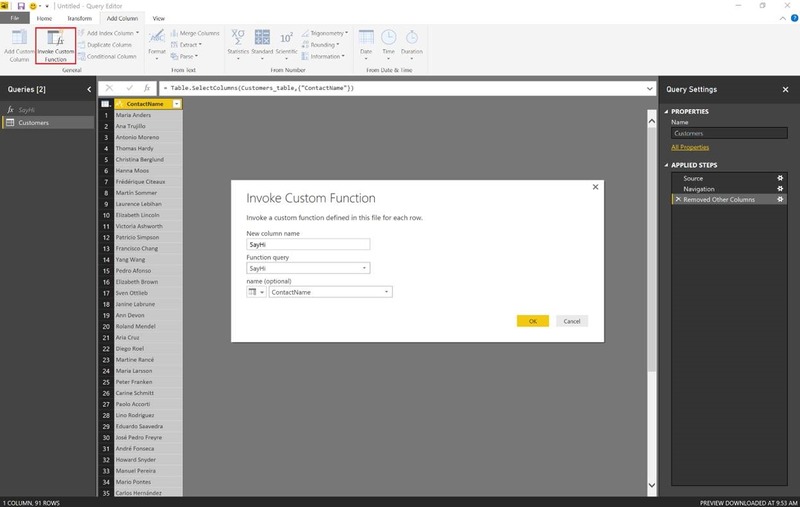 You can now simply leverage the new “Invoke Custom Function” operation from the “Add Column” tab in the ribbon. This dialog gives you the option to pick one of the custom functions defined in the current file and specify input arguments, which may include static values or references to other columns in the current table query. When dealing with columns with nested data structures (i.e. such as Records or Tables), it is commonly the case that not all nested structures have the same schema. Power BI Desktop leverages schema detection in order to provide information such as the list of nested columns in the Expand & Aggregate Column experiences. 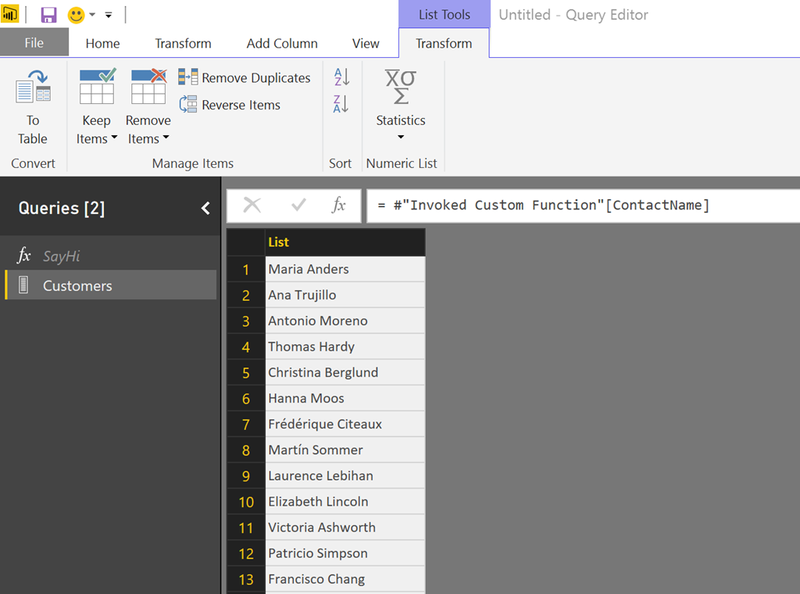 Before this update, Power BI Desktop would only look at the top few rows of nested data in order to construct the list of columns to display. 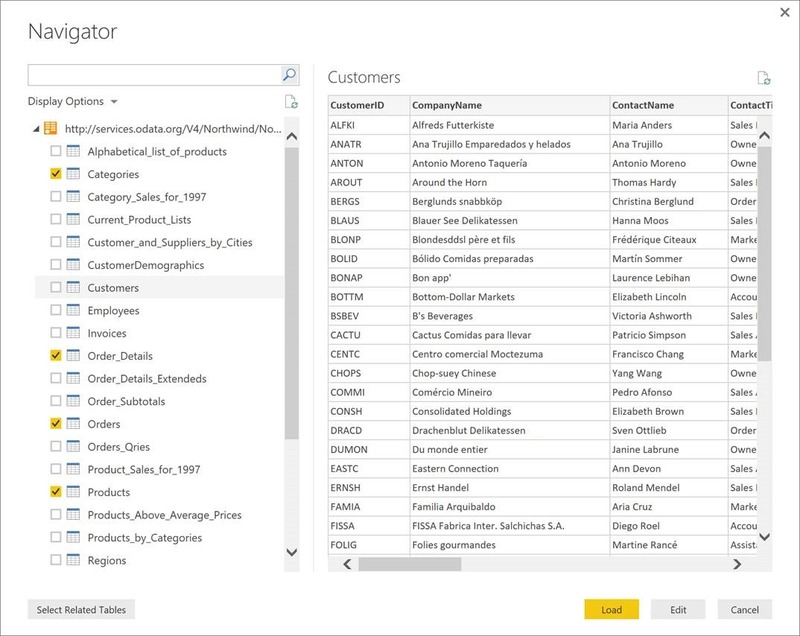 With this update, we have added a “Load More” option to the Expand & Aggregate Columns lists so that you can tell Power BI Desktop to look at more rows in order to detect additional nested fields/columns. 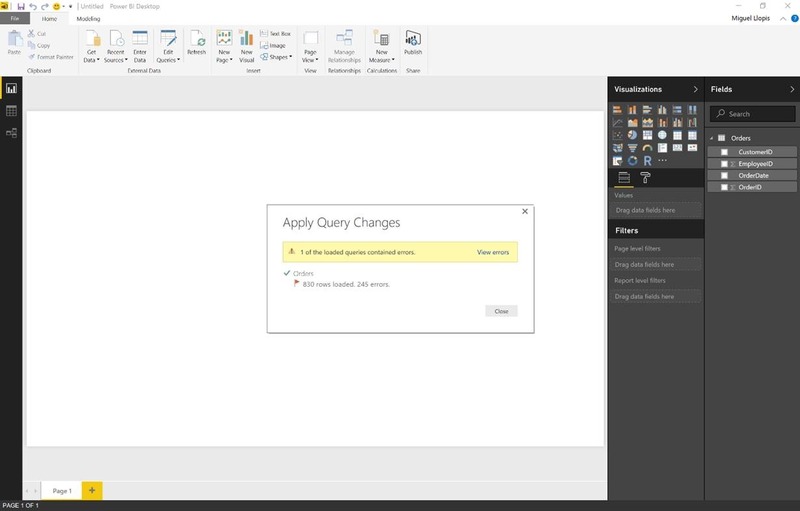 When using this “Load More” option, Power BI Desktop will scan up to the top 1,000 rows of nested data in order to calculate the list of columns to display in the Expand & Aggregate Columns lists. With this update, we’re making it much easier for you to turn a given column within a table into a list. 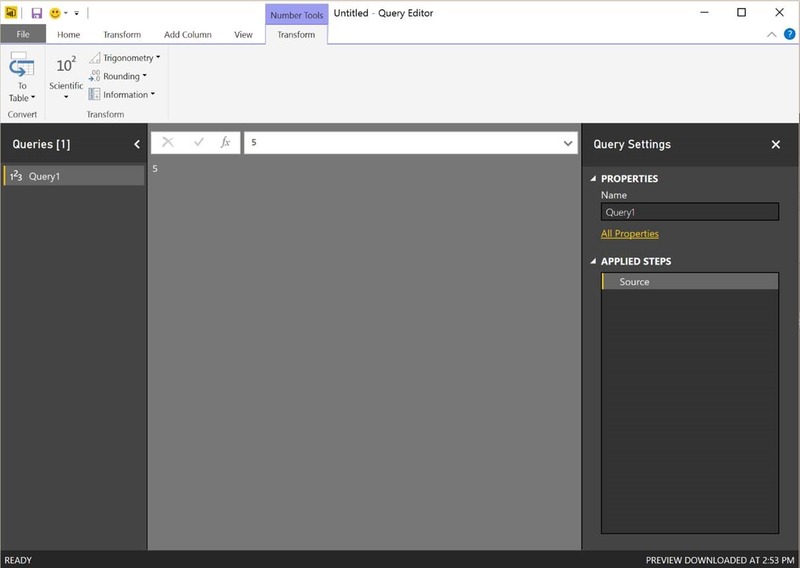 You can simply select the column in the Query Editor Preview and use the newly added “Convert to List” button in the Transform tab in the ribbon. The Power BI community is a great resource for Power BI users to communicate, troubleshoot and provide direct feedback to the product team. 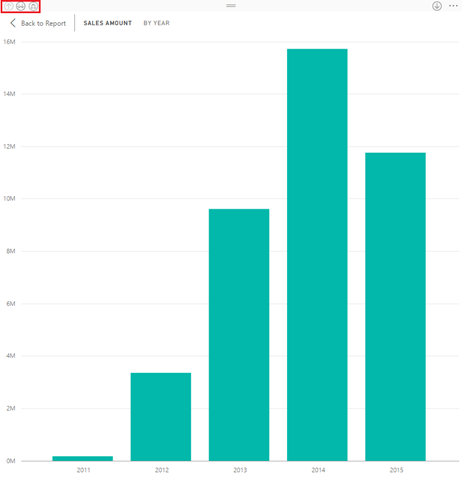 With over 5,000 new topics each month and over 50,000 visitors to the community each week, the Power BI community can help you get your questions answered. We’ve updated the support links in the Desktop to allow you to quickly ask questions and get answers. 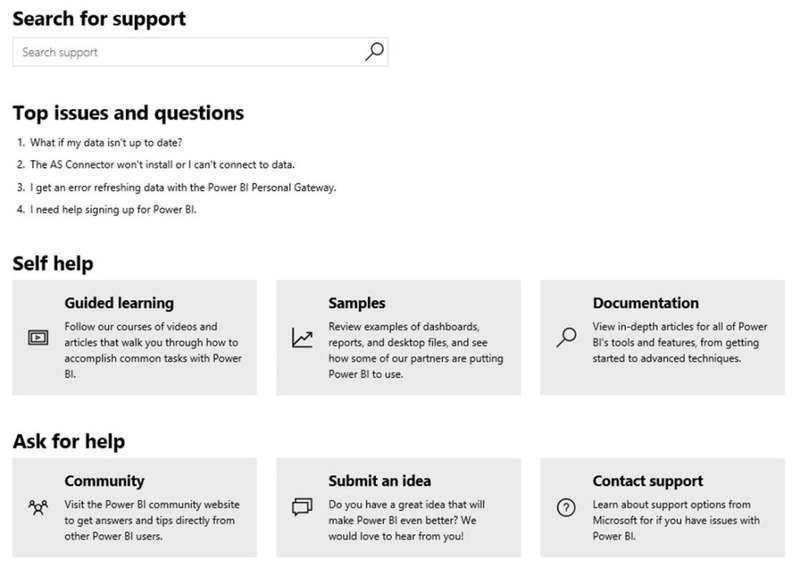 If you have any questions about Power BI or want to provide us any feedback, you can select Get Help from the file menu or the smiley face to reach our support site. Our product team is constantly monitoring the community to find issues, collect feedback and shape our roadmap. On the support site, you can search help topics, ask a question to the community and submit issues. 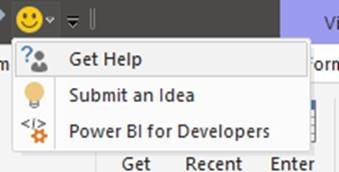 You can also jump straight to our suggestion site using Submit an Idea if you want to suggest a feature or improvement, or go to the BI developer support material using Power BI for Developers. Additionally, if you get an error dialog in the product, you can still send us a Frown letting us know what happened.